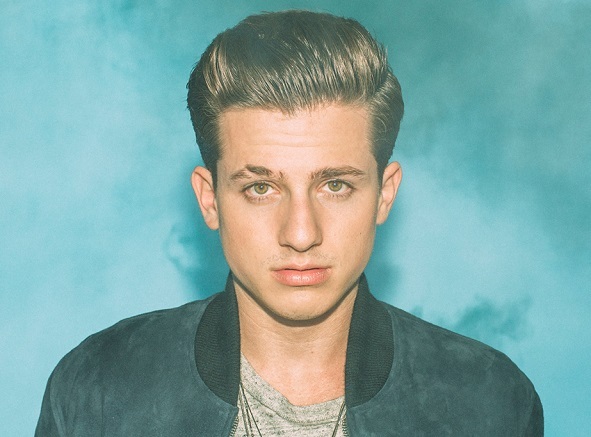 This time last year, 23-year-old Charlie Puth was just another struggling singer-songwriter searching for a hit. After becoming a viral sensation on YouTube and fostering an online following, Atlantic Records soon came calling. It was during his second day of writing in Los Angeles when he penned “See You Again,” a melancholy yet uplifting track that features Puth’s soaring falsetto on the chorus alongside Wiz Khalifa on the verses. The song serves as the theme for the latest Fast and Furious film and as an ode to cast member Paul Walker, who tragically died in November 2013 in the midst of production. Upon their releases, both “See You Again” and Fast and Furious both shot to number one across the world, giving Puth his first big hit. Here, Puth talks about the creative process behind “See You Again,” the personal tragedies that inspired its lyrics, and what’s it like having a number one smash. When you heard “See You Again” hit number one, what did you do? Did you celebrate? I was internally celebrating. I got word in the morning and then went to the studio and worked until two o’clock in the morning. That’s probably the hardest day I worked, actually. During the weekend I allowed myself one drink – very exciting, I know. But it’s incredible. I never thought the movie company would pick “See You Again.” Now it’s exciting that the whole world is hearing and reacting to it. Well, let’s talk about the background of the song. I understand you wrote it during only your second day of writing in LA. When was this? It was in July . I had come out here by myself just to go to LA and be a songwriter, because that’s what I originally intended to do. Though, between you and me, in the back of my mind I also secretly wanted to be an artist, but I thought the best way to go about that was to write songs first. My first day I wrote my other single “Marvin Gaye” (which features Megan Trainor). My second day I heard a message from the Fast and Furious franchise that they wanted a song to honor Paul Walker’s legacy for a three minute scene at the end of the movie – the most significant part of the movie. I thought, “Who am I?” But I took a whack at writing it. I wrote it with my co-writer, Justin [DJ Frank E], who I just met at the time. When we wrote the song it was so powerful – just crazy human interaction. We were like, “How did we just do this so quickly?” We sent it to them and they loved it, they got Wiz Khalifa on it, and the rest is history. So the recording everyone is hearing today – are your vocals from July? Exactly. One take, that’s it. I have it on video. I don’t know why I thought to take out my camera during that Pro-Tools session, but I’m so glad I did. At the end I say something like, “Oh my gosh!” And I never say that about anything I write – I usually hate it all until I hear other people like it. But this song is special. So you didn’t see the movie before you wrote the song? And that’s when you found out? That’s when I found out! Good job on your part, you just made me remember that very special moment. I know you were obviously inspired by Paul Walker, but there’s also this personal tragedy you were also inspired by. Is that right? Yeah. I was originally writing thinking about the movie, but midway through I realized it was also about my friend who passed away in a very similar way to Paul. What’s crazy is that my co-author also had a personal tragedy, which I didn’t know at the time. When we finished writing it, it was a very powerful moment. I was curious about a tweet you sent the day “See You Again” hit number one. You wrote, “Two years ago today was the worst day of my life. Two years later on the exact same day, it’s the best day of my life.” Are you referring to that same tragedy? No, that was a different tragedy. Two years ago on April 15th, 2013, I was living in Boston and was thinking about going to visit the finish line of the Boston Marathon. I decided not to and instead had a party on my roof nearby. Right as the landlord was yelling at me for having too many people on my roof, I heard two huge explosions that sounded like cannonballs. In some weird way, I knew what it was… I remember running through the street, there was blood everywhere and it was literally the worst day of my life. If you told me that very day two years later that a song I wrote would go number one … It’s pretty incredible. That’s the cycle of life, man. Isn’t it weird how that works? I think the reason why the song is resonating so much is that it has this right mix of sentimentality and happiness. It walks a fine line. What’s also cool is that you’re part of this exclusive club of people involved with songs that go number one. In fact, not that many people at all. You’d think it’d be more, but throughout all of American music history it’s only a handful of people every year. [Pause] Ah! That’s so insane. It’s just hitting me now, man! You’re putting it all into perspective. You have a way with words. [Laughs] Well, it’s true. And when you go back to what was popular in whatever year, you don’t look at who was number 10, you look at who was number one. And the fact that you now have a number one is very well deserved. Thank you, I really appreciate that. I’m trying to soak it all in and remain humble at all times. It’s very easy to get your head in the clouds with all this, but it doesn’t add anything to the music when you’re a d-bag. You have to be gracious. I feel like it’s people that lose that sense of humbleness that don’t continue being successful. The people who are in it for the music are the ones who last. Amen to that, for sure.